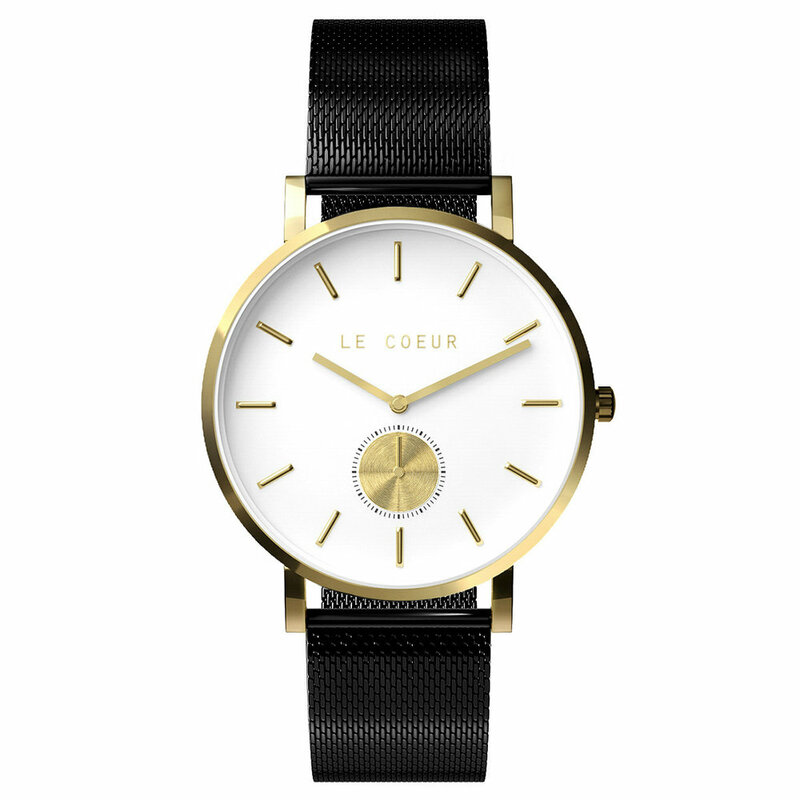 New York / Mesh — Le Coeur Watch Co. Bold and minimal, our New York timepiece features a black dial, silver index and 20 mm. black mesh strap.